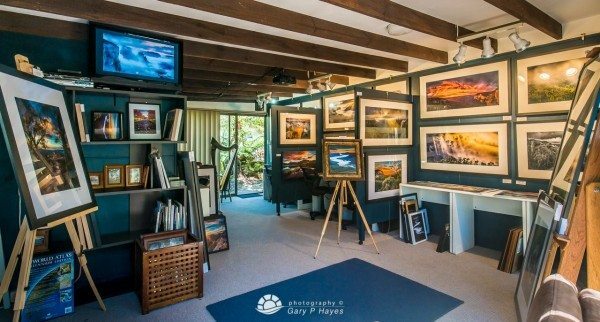 GARY’S GALLERY, WHERE – Follow the road signs to Pulpit Rock as you pass through Mount Victoria or head to 66-68 Kanimbla Valley Rd, Mt Victoria, NSW 2786. 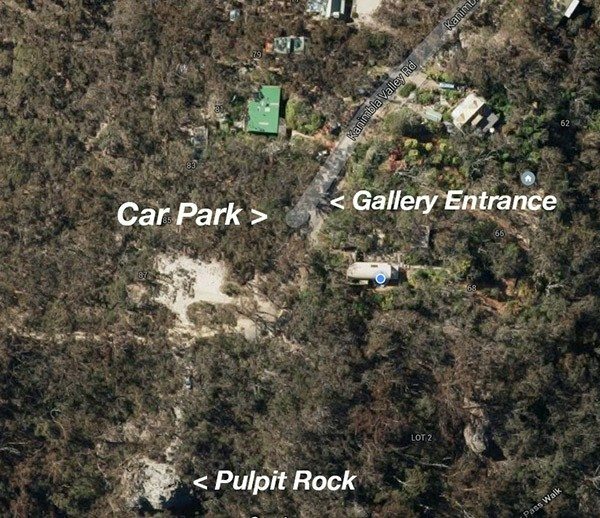 The gallery entrance is in the turnaround at the bottom of Kanimbla Valley Road before the track through the bush (see map below). 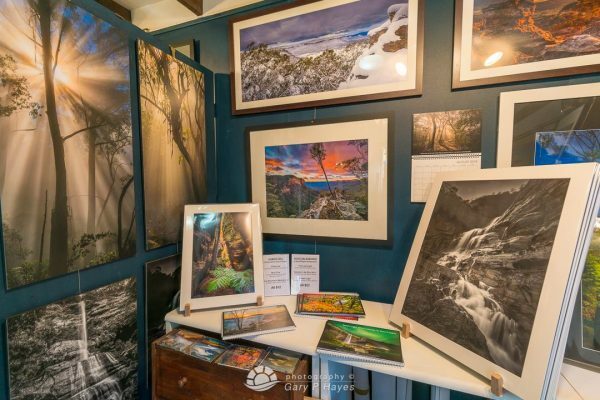 Set in gorgeous native bush land only a stones throw from Pulpit Rock, one of the main lookouts in Mount Victoria, The ‘Gary P Hayes Photo Gallery‘ is a great place to visit, view framed, un-framed prints, DVDs, Gary’s books & other photo specials. Come along and relax and see hundreds of majestic Blue Mountains photos and speak to Gary personally with any special requests. A unique entrance from Pulpit Rock car park leads you on a beautiful bush path to the main public entrance to the gallery. 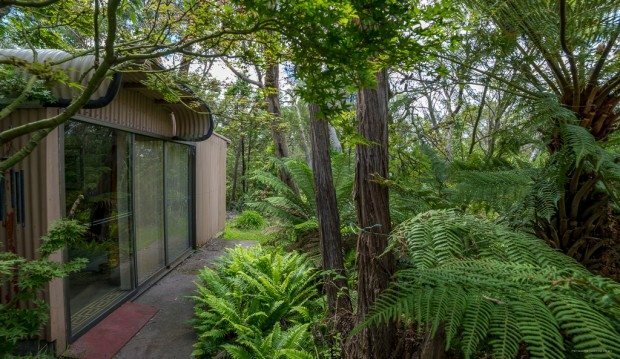 No better place to view remarkable images of the Blue Mountains than deep inside the bush on top of a relatively remote escarpment, only 16 minutes drive from Katoomba. 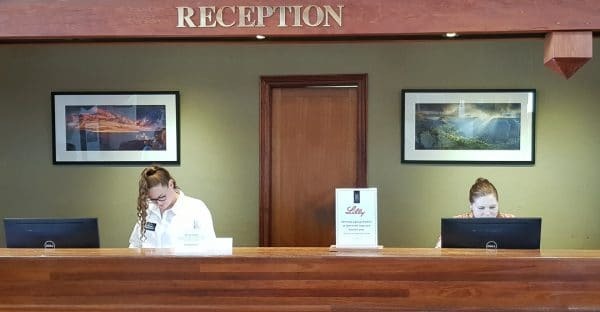 You are welcome to relax, drink coffee, tea or cool water as bird song outside mingles with gentle music inside and you can view the mountains at it’s best during golden hour, in the mist or from rarely visited areas. Over 50 framed works are on hung on display at any one time and themed exhibitions are staged every 6 weeks or so. 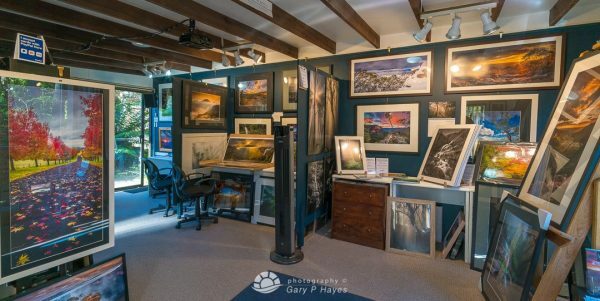 There are dozens of large panorama prints to browse and more than 100 medium sized prints which we can get framed for you or you can buy on the spot. There are also a growing series of books by Gary to browse and order as well as a serene collection of images set to over 80 minutes of his music on DVD. The gallery is at 66-68 Kanimbla Valley Road and please check the top of this page for opening times. 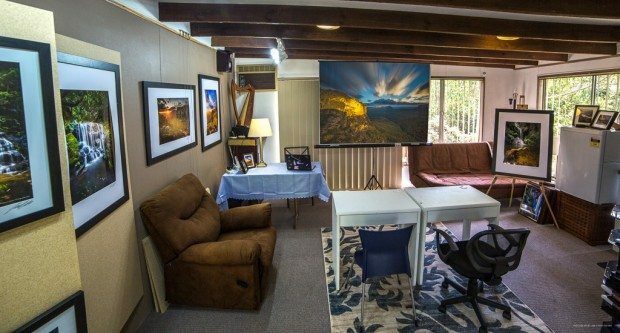 When Gary runs his 1 to 3 day workshops the gallery is transformed into a teaching area. Up to 6 photographers each with their own desk easily fit into the space and Gary takes them through everything from finding the photographers voice, through composition and location finding through to post production and adding a shine to the images taken during the various themed shoots. 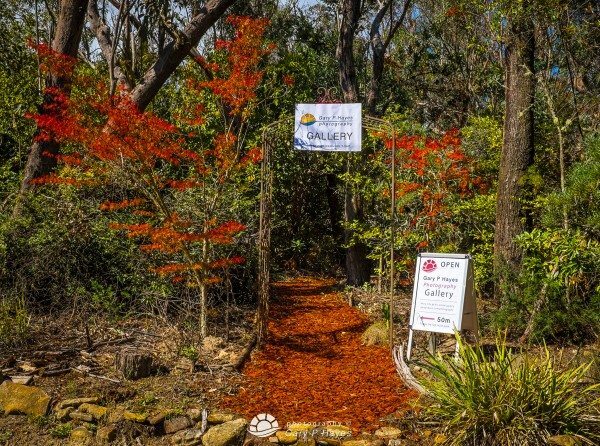 This training space is unique in that it is walking distance from several great locations including Pulpit Rock, Mount Piddington, Hornes Point, Sunset Rock, Bedes LO, Engineers Cascades and many more. It is also only a 5-10 minute drive to Victoria Falls areas, Mt York, Mitchell’s Pass and various spots on the Darling Causeway. So as well as over 250 possible locations Gary uses in his workshops it is possible here to take images at Pulpit Rock and be post processing them in minutes, without touching a car! For more information on Gary’s workshops go here. I would highly recommend attending Gary’s workshops. Gary has a great knowledge of the Mountains and knows the best places to photograph it’s beauty away from the tourist trail.. I will definitely be returning and doing one of Gary’s Workshops this year. Very kind Lesa – your welcome anytime! Congratulation on your new studio and gallery space, hope to visit one day! Will be back in NSW April 10th-20th would love to come visit your gallery, will you be open between those dates?